With us it's personal! In the context of our "It's the people who make Rompa" web section, we would like to introduce another colleague to you. 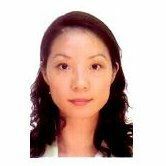 Meet Shiun Wen, Sales Manager at Rompa in Shanghai (China). 1. Who is Shiun Web in a nutshell and what is your position at the Rompa Group? “I am a self-motivated regional executive with 17 years of experience in business development and marketing in Asian markets, with past 11 years based in Shanghai, China. I work directly with top executive management and general managers, am a strong communicator with great listening skills, able to work well with Americans, Europeans and Asian markets, functioning as an effective bridge across cultures. My greatest love in business is to enable likeminded enterprises to link up with each other and grow their businesses together. That is what I do for Rompa – I grow the business and the international network of companies together with my colleagues in the Netherlands, Czech Republic and the USA." 2. How do you stay ahead in your line of work and how do you stay inspired? “For me, what works is meeting people and learning what is the latest innovation or technique their team is exploring to enhance their products and to stay ahead of their competitors. Being in the forefront of competition, creating value is always more fun than being a follower." 3. What makes Rompa unique in the plastics industry? “Rompa China is made up of the people within it. It encompasses not only the energy and the vitality of local Chinese colleagues, it goes beyond… to incorporate the synergy of the people we have from both our corporate Netherlands office and our Czech Republic facility. It is amazing to see how everyone can work seamlessly to exchange ideas and information to give the best to our customers located in every corner of the world, regardless of who is in the lead for the customer or programs. As a global team we strive to always give the best propositions, products and services to our customers." 4. What is your motto? “Always give your best. At the same time, stay balanced." Stay informed with the latest Rompa Group news.